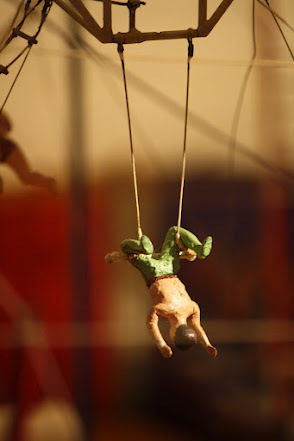 Chasing Roots: Circus, Circus...Circus World! 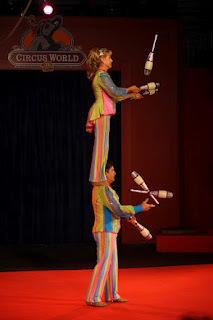 Because the circus we attended in College Station went over so well with the kids, my mom and I decided to take them to Circus World in Baraboo, Wisconsin. The Ringling Bros. 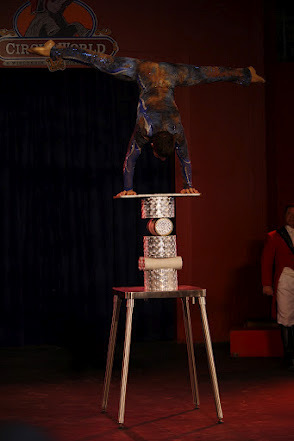 Circus was founded in Baraboo in 1884. Between 1897 and 1916 the Ringling Brothers built extensive training facilities - quarters for the performers and staff, barns and stables for the animals, a train station, the wardrobe department, the mess hall, etc. - that eventually became the circus' winter quarters and were known to locals as "Ringlingville". This area is now a Wisconsin and National Historic Landmark Site. 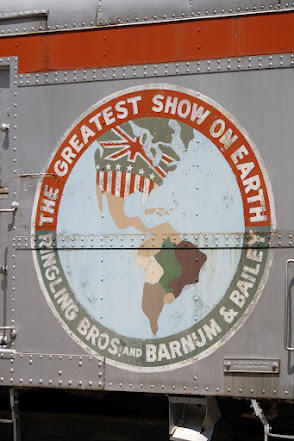 Circus World began more than 50 years ago, when John M. Kelley, the Ringling Bros. attorney, and the Gollmar Family, cousins of the Ringling Family, turned their vision for a place where future generations could live and breath their beloved circus industry into a reality. The day after the park and museum opened on July 1, 1959, Circus World was deeded debt-free to the State Historical Society of Wisconsin. 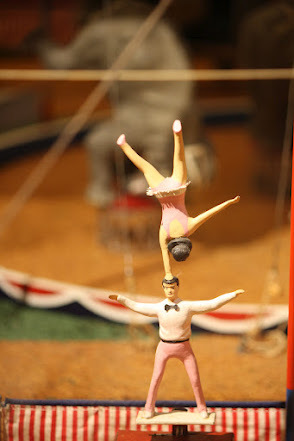 According to their website, "Circus World's collection of circus artifacts is the largest in the world and includes over 210 original wagons and vehicles once used by American, English and Irish circuses. 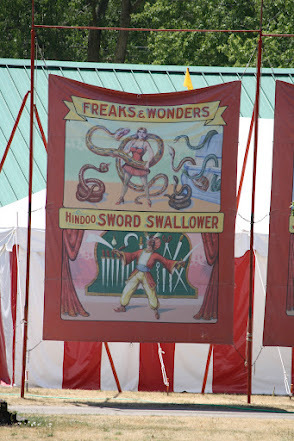 Circus World houses an exceptional collection of circus ads and posters...the collection also includes thousands of journals, manuscripts, business records, original fine art oil paintings, hand bills, heralds, programs, costumes, (and) personal artifacts of circus performers." 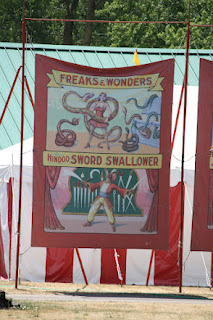 We drove the hour to Baraboo, watched the magic show (quite the thrill for Will, Hallie couldn't have cared less if we'd paid her), and then attended the performance under the Big Top. 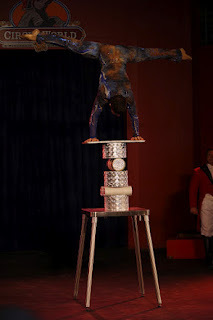 The circus itself wasn't nearly as impressive as the one we saw in College Station, but it was entertaining never-the-less. At the end of the show the performers invited all the kids in the audience to join them in the ring. Will had no interest in leaving his seat, but Hallie headed on down all by herself. She looked so teeny tiny surrounded by all of the bigger and older kids. My favorite part of the day was the old Ringling Bros. train cars and the miniature circus exhibit inside the museum - together they were worth the price of my admission ticket.